In the winter market they were able to leave the rojiblanca discipline for the Premier and Rayo. They do not count in Garitano's preferences. The center retired today with hip pain. The two Unais, or rather, the three members of the Athletic staff with the same name (Simón, Núñez and López) continue to live in ostracism. In the case of the central and the midfield is more accentuated because in the winter market They could leave the discipline rojiblanca. 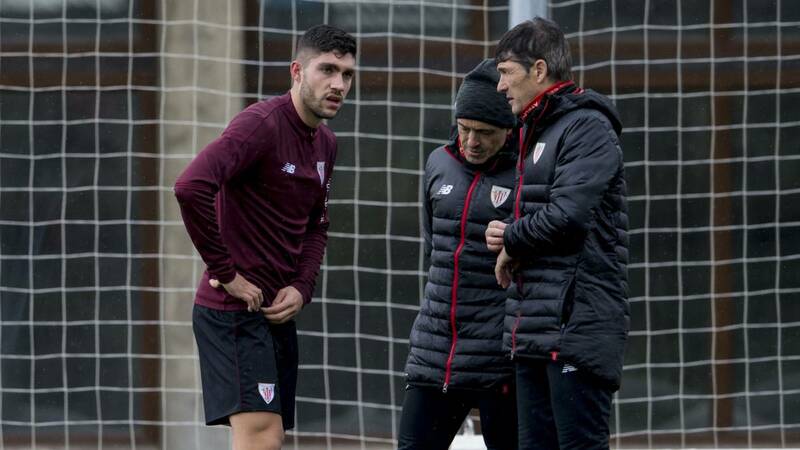 El Athletic did not contemplate cessions with Unai Núñez, nor let him leave without paying the termination clause of 30 million. Three clubs of the Premier Cardiff, Watford and Crystal Palace bid for the center of Portugalete, which is still waiting its turn to the excellent performance that both Iñigo Martínez and Yeray Álvarez are showing. Peor has it Unai Lopez, if summoned by Gaizka Garitano in the League after the horn of the market, and after the slam to the Rayo Vallecano, who wanted him in quality of decision. The player from San Sebastian, with contract until June 2022, did not accept down a step to Second, where Málaga, who finally signed the exleon Erik Morán, and Deportivo were waiting for him with open arms. The Athletic organizational chart decided not to feed the template of a direct rival for salvation with the 23 red and white decided that I would therefore fight for a position in this second round. However, he is the last of the row in the preferences of Garitano, who opts for Beñat, Dani García and San José in the first place and it seems that Mikel Rico would also advance him. Solo Iturraspe counts less for the coach of Derio. Cadela dolorida. In summer the European Under-21 will be played and Núñez is a fixture throughout the qualifying round for Luis de la Fuente. The strong center plays a position of holder in the axis of the rear with Meré and Vallejo. In the morning session of Lezama this morning, to top it off, he had to retire early due to some discomfort in the hip.